Sara Jane Owen Torquato made doing good a priority for her life. Her beneficence extends to the Fisher Center for Alzheimer’s Research Foundation, as well, to whom she has given a very generous bequest to continue the search for a cure and more effective treatments for Alzheimer’s disease. 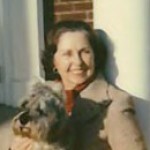 A lifelong educator, Sara Jane Torquato (known as “Sally” to friends) taught at Johnstown High School and later went on to work in the office of the Director of Guidance, where she influenced thousands of young people over the years. Along with her sister, the late Elvina Jane Owen, and her husband, the late John Torquato, Mrs. Torquato’s generosity was already well known in her native Johnstown, Pa. The Elvina Jane and Sara Jane Owen Library at the University of Pittsburgh at Johnstown bears both their names, thanks in part to a very generous donation from her sister. In 1985, Mrs. Torquato founded the Sara Jane and John Torquato Scholarship Fund at UPJ through a charitable remainder trust agreement. Mrs. Torquato provided care for her sister Elvina, who was afflicted with Alzheimer’s disease, for years before she passed away about 8 years ago. Mrs. Torquato’s giving nature extended beyond her own life, as she bequeathed almost everything she accumulated during her life to charitable institutions, primarily those like the Fisher Center Foundation, that are engaged in Alzheimer’s research. Sara Jane Owen Torquato made doing good a priority for her life. Her beneficence extends to the Fisher Center for Alzheimer’s Research Foundation.